Smart Assistants, like Amazon Alexa and Google Home are finding a home with ever increasing numbers of Canadian consumers. Now they are making rapid inroads into the world of shopping and retail. 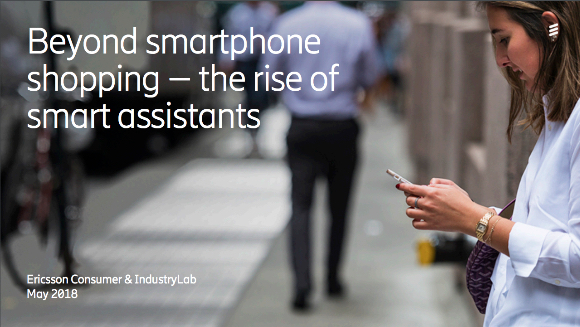 Ericsson Consumer & IndustryLab has just released a global study which shows that smartphone shoppers are primarily interested in a smart assistant to help with purchase selections, automatic re-stocking of certain items and to receive deliveries when they are not at home. When reading these results, the first brand that comes to mind, as is often the case when AI is mentioned, is of course Amazon. Automatic restocking is already live, via Amazon Dash or Amazon's subscription services. Taking it one step further is Amazon Key, which is safely delivering orders even when you're not at home. Judging from our recent learning at the Shopper Marketing Conference 2018, all retailers are watching Amazon with a degree of nervousness, trying to predict and deflect whatever next move Amazon might be planning. You can download the presentation by clicking the image below. What does the rise of AI-powered smart assistants mean for the consumer? The study highlights the role that AI will play in the way we filter content and make purchasing decisions. As we are inundated with an overload of choices for everyday items, an intelligent assistant who is able to understand our history, life stage and preferences will be able to help us navigate the information overload that we're all exposed to. This will then deliver content and products that are of value to the individual person. 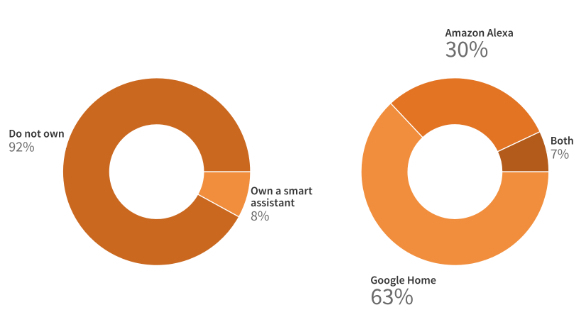 Additionally, consumers are expecting Alexa and Google Home to provide smart shopping support. This includes the handling of mundane household shopping needs such as the ordering of routine items. What does the rise of AI-powered smart assistants mean for brands? In a world, where buying decisions are beginning to be outsourced to AI, brand presence is of the utmost importance. Brands need to assure that they offer benefits, both emotional and practical, that make them memorable. Forgettable brands will indeed be forgotten and relegated to being a commodity. Brands need to ensure that they are front of mind when purchasing decisions are being made. In a recent article on the potential dangers of developing an Alexa skill we explore some of the pitfalls to be aware of when it comes to data sharing with the leading providers of AI technology.